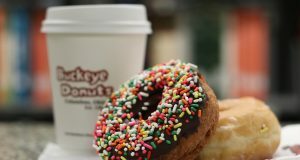 Buckeye Donuts has been serving up freshly made, hand-cut doughnuts to the Ohio State community since 1969, and was voted Best Dessert Place in The Lantern’s Best of OSU poll. 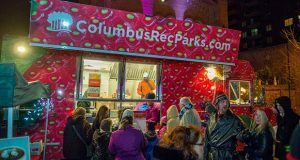 The 1998 N. High St. location is open 24 hours a day for students and staff to come in and enjoy a cup of coffee before class in the morning, a gyro and fries at lunchtime, or one of their favorite doughnuts after a night out. 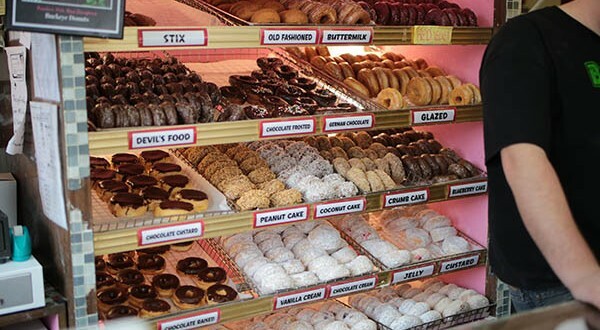 Buckeye Donuts offers 32 varieties of these tasty treats, which are made from scratch daily using the highest quality ingredients, according to its website. 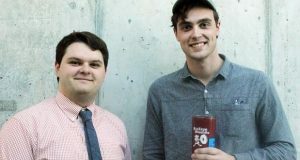 “As opposed to some other places that take out their frozen dough and pop it in the microwave, we roll out and cut our own dough and cook everything fresh at 7 a.m. every morning,” said cashier Cassy Benson, a second-year in art education. Some of the “regular” flavors include classic glaze, blueberry cake, coconut cake, and jelly- and custard-filled. Doughnuts with the “fancy” distinction include cinnamon rolls and apple fritters. Not to be forgotten is the store’s namesake doughnut, which is chocolate iced with peanut butter in the center. 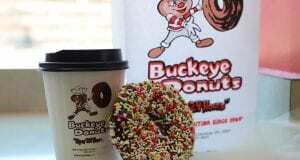 While it offers a variety of flavors, Buckeye Donuts is not just doughnuts. It also has hot breakfast sandwiches and sides, coffee and espresso, Souvlaki George’s famous gyros, Greek salads and more. It also offers its coffee and doughnuts in catering packages. Owner Jimmy Barouxis, whose family has owned the business for more than 40 years, expressed gratitude for being voted Best Campus Dessert Place.